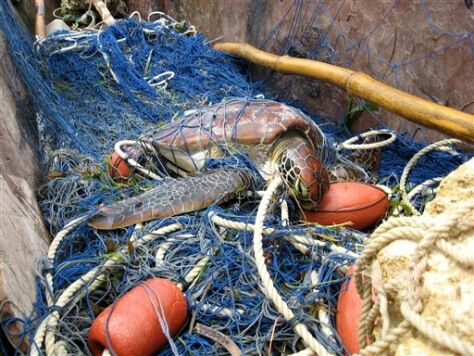 This sea turtle got caught in a fishing net off Diani, Kenya. The turtle was freed and released, but others have died. Daniel Floren, who runs a local diving school, says the U.S.-funded nets are destroying the very ecosystems that fishermen rely on.